The Vikings searched for Greenland…. We all are constantly searching for different things at different times – mobile phone, clothes, job opportunities, girl friend….and at times, peace. This search is never-ending, it just goes on! IndiaMART was also searching for a superior ‘Search’ methodology to make the process of searching buyers and sellers on the platform, simpler. And guess what, we succeeded! We know that jargons are just plainly much of the jibber-jabber not needed to be learnt by heart, and all of us have an inherent tendency to commit errors. Consider the relief, if the search bar on an online platform displayed precise options to what we are looking for, and that too in our first attempt, even when we hurriedly committed a typo or made a silly spelling error? Say keybored instead of keyboard, or vebsite instead of website. Well, IndiaMART’s search-bar now auto-completes the word in your head and displays specific options to what you are looking for. 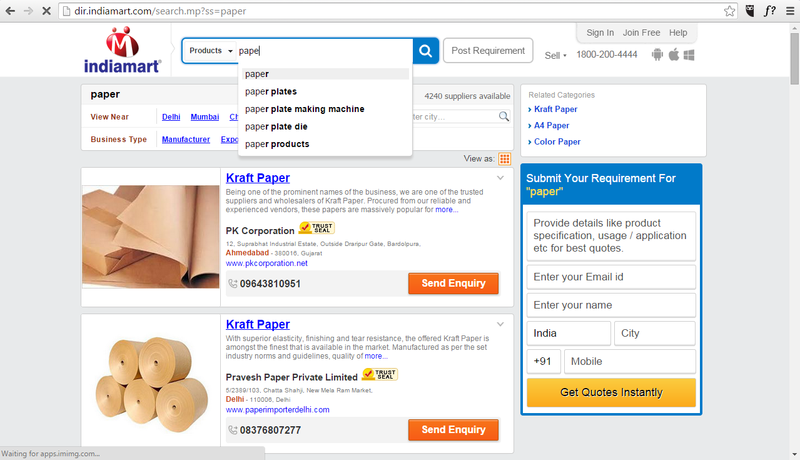 The feature has now been carefully built into IndiaMART’s product search bar, wherein all one needs to do to search for a product is type-in its name. And mind it, misspelled works! Ah, that’s not all! 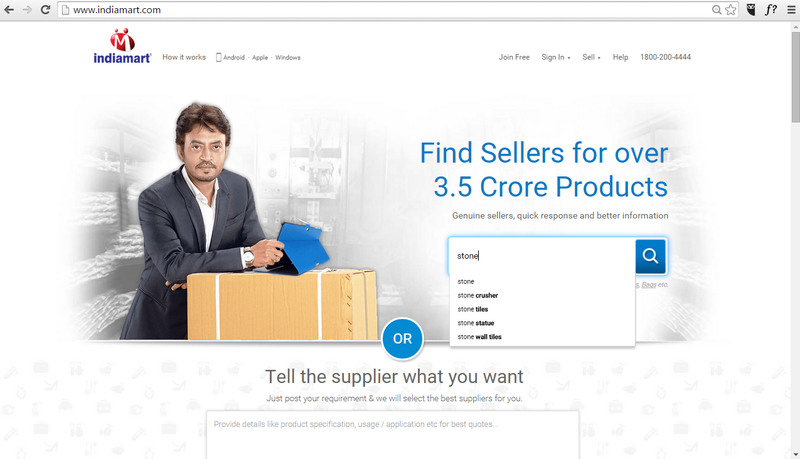 The search bar also pours in some of its very own suggestions with its ‘Are you looking for _’ feature, easing out the product search experience at India’s largest online marketplace for businesses. How did we come about its introduction? The idea of bringing in this feature took place after an analysis of our prevailing “Are you looking for –” spelling suggestion feature which was introduced last year. Surprisingly, the results showed that around 10-20% searches were actually misspelt, and that only 5% of users viewing the spelling suggestion actually clicked on the right spellings. Pretty disappointing! So, the finest way forward seemed to go with the user’s intention as to what he actually wanted to search, rather than the words typed by him. The spelling mistakes (if any) while searching, could be corrected automatically, and the results were displayed in the same fashion. Finally, post trial, it led to the introduction of phonetic algorithms, which worked, even when there were minor spelling mistakes in keywords. And here comes the Phonetic Algorithm! Yet, the chances of incorrect results being shown could not be ignored. There were still few glitches. For example, “paper” and “pepper”, though totally different requirements, are spelled slightly similarly. Therefore, searching for “paper” may show some results of “pepper” as well. Imagine a paper merchant in Chawri Bazaar ordering truckloads of pepper to his shop! There ought to be a solution. A way out was found, wherein preference was given to the original word typed by the user. Say, if one searched for “paper”, the “paper” results are likely to be on the top, and when they are exhausted, the user would see the results for “pepper”. In most cases, users don’t scroll for results too much, making this feature successful. The golden rule for every business is this: ‘Put yourself in your customer’s place,’ which we did and tried to make your search ‘search-tastic’. User satisfaction of search results climbed up, and a significant milestone, thus achieved!